A route along the Roaring Meg, from Cardrona to the Kawerau Gorge. 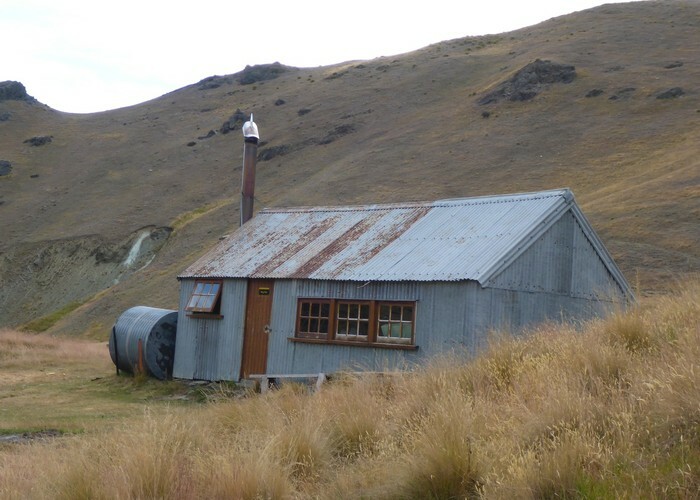 Meg Hut, Pisa Range • By Briar. 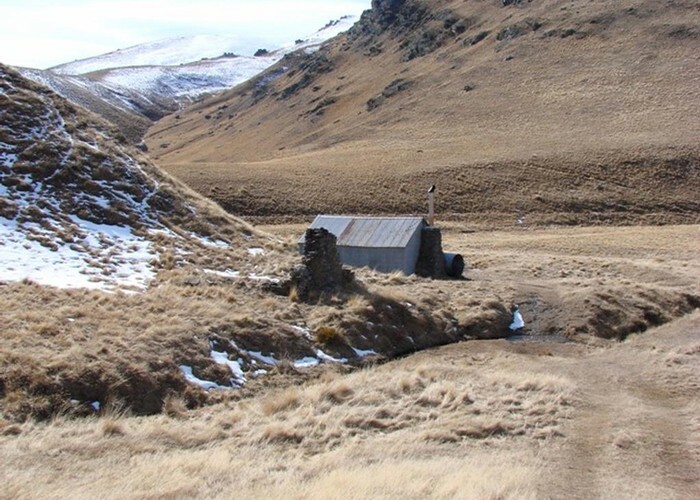 Licence: C.
Tuohys Gully, Cardrona. From the Cardrona Valley Road, look for the Waiorau Snow Farm sign, and take Tuohys Gully Road. Turn right to get to Tuohys Gully. Near the Roaring Meg power station on SH6, Kawerau Gorge Road. From the Tuohys Gully car park, a track climbs to Tuohys Saddle, at 1140m the highest point on the route. The track continues down on the right past Miners Hut (private) along a tributary of the Roaring Meg. Alternatively, a track leads left to the Meg Hut, about 1km away. Meg Hut in september • By aardvark. Continuing onward, a steep trail follows the Roaring Meg gorge, to end at Roaring Meg Dam. From here, a vehicle track leads down to the power station. Meg Hut • Standard Hut (DOC). Capacity: 8. 518 views in the past year (43 per month).